Conveniently located in the Cedar Knolls section of Hanover Twp. 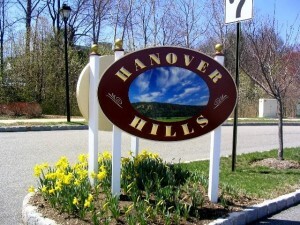 NJ, the Hanover Hills Condominium Community is a great place to live, raise a family, relax and enjoy life! Located in the eastern part of Morris County NJ, the Hanover Hills community of homes offer a Suburban Oasis for both its residents and visitors. The Condos at Hanover Hills in Hanover Twp. offer all the conveniences of Maintenance Free Townhome Living in a great town. Cedar Knolls, which is a section of Hanover Township lies about 30 miles west of New York City in Morris County, NJ and is just minutes away from all the conveniences necessary for today’s lifestyles. It is also close to the convenience culture of vibrant downtown Morristown, NJ. For Available Homes in Hanover Hills, please Contact Us!